Any engine must be tuned optimally for it to produce as much horsepower and torque as it possibly can. That includes adjusting its carburetor and distributor until the fuel and spark curves are perfect at every possible speed. Achieving that can be an arduous and time-consuming process with much trial and error, but the efforts can significantly improve a vehicle’s performance. Engine tuning is a time-consuming process that’s required to achieve peak performance. It generally includes swapping carburetor jets and adjusting the distributor to advance or retard spark timing. The only way to determine optimal tune is to measure engine output on the race track or with a dynamometer. Anything else is just a guess. 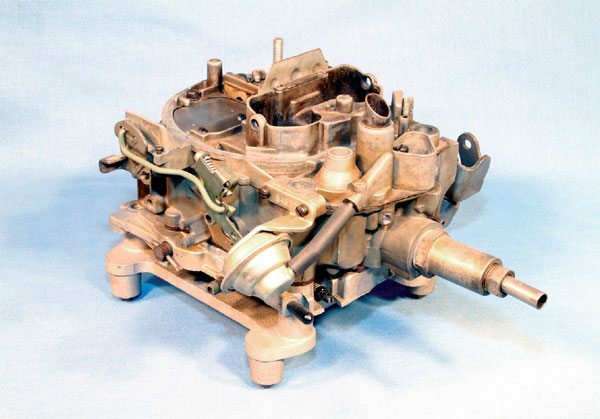 A carburetor is responsible for providing the engine with the optimal amount of fuel to provide peak performance in all operating conditions. Once you’ve determined how much airflow capacity your engine requires and purchased the appropriate carburetor, you must begin to adjust the internal fuel metering to meet the demands of your particular engine. That can be a time-consuming process depending upon the carburetor. 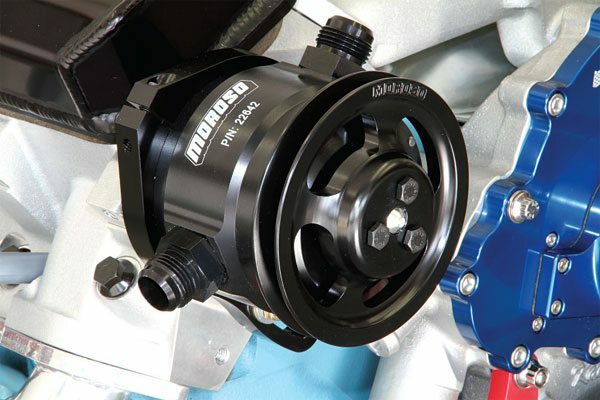 The Rochester Quadrajet remains popular with Pontiac hobbyists because it was the factory-installed 4-barrel in most popular applications, is compatible with original equipment, and is relatively inexpensive. Its small primary barrels offer excellent throttle response and fuel economy and its larger secondary barrels are vacuum actuated and supply fuel as demand requires. It’s an ideal carburetor for street drivers and can make an excellent street/strip carb so long as the vehicle’s fuel system is capable of keeping the centrally located float bowl full of fuel. Pontiac used the Quadrajet on engines ranging from 301 to 455 ci. 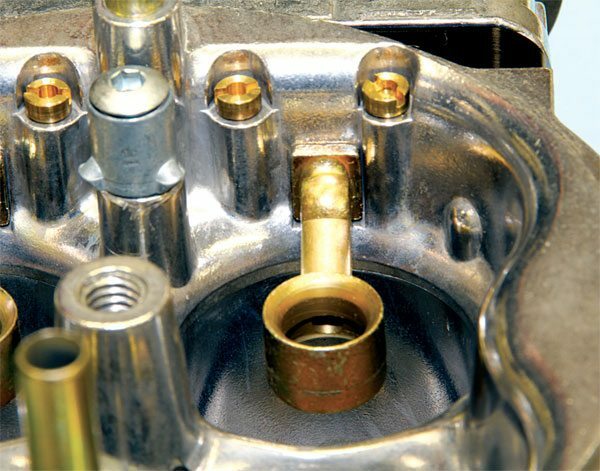 When modified properly, even a casting originally installed onto a lowly 301 can make an excellent performance unit for Pontiacs displacing 470 ci or more. The required modifications include drilling out various passages to the appropriate sizes, and installing new metering jets and rods. 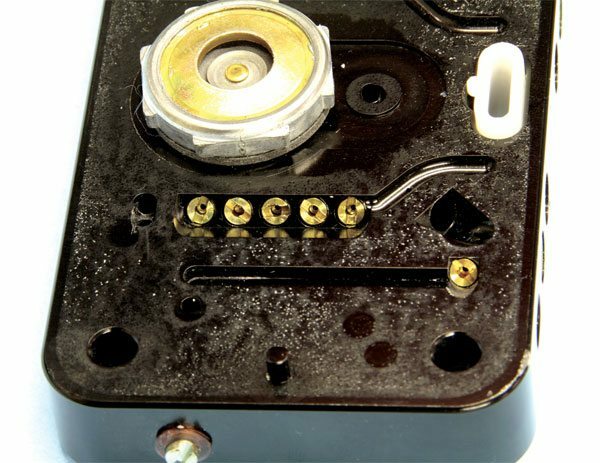 CarTech’s book How to Rebuild and Modify Rochester Quadrajet Carburetors by Cliff Ruggles is an excellent resource that clearly explains how best to modify your Quadrajet for a particular application as well as ideal metering jet and rod staring points. The Rochester Quadrajet is an excellent carburetor. Those from the mid-to-late 1970s offer a maximum airflow capacity of 800 cfm or slightly more and are the best performance candidates for the cost. Originally installed on Pontiac V-8s displacing 301 to 455 ci, they all respond similarly and favorably to performance modifications regardless of original application. To achieve maximum possible performance from any Quadrajet casting, it must be modified accordingly, and that includes drilling out internal passages to optimize emulsification in certain conditions. 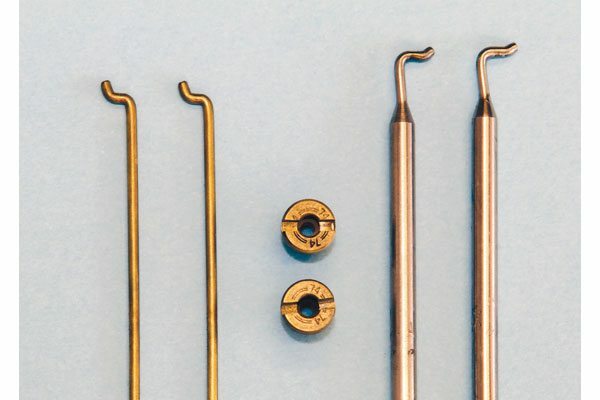 A small machinist’s drill-bit set and a pin vise is required for absolute precision. You’ll be amazed at how well a Quadrajet performs with a few simple adjustments! Sourcing highquality Quadrajet rebuild components from local parts stores can be difficult. I recommend purchasing from companies that specialize in Quadrajet repair and recalibration. Cliff’s High Performance offers complete rebuild kits containing the highest quality components available, some even made to Cliff’s specifications. Its kits are completely compatible with Ethanol-blend fuel as well. A Quadrajet uses removable jets and metering rods for primary fueling and removable secondary rods with fixed jets for secondary fueling. A wide array of sizes was available through Delco for years, but most are no longer available. Junkyard scouring can provide a small assortment, but it may not be enough to satisfy your engine’s fuel needs. Cliff’s High Performance provides most jet or rod sizes you might need. If you’re using a mechanical fuel pump in your Pontiac V-8, a high-performance unit from Carter or RobbMc Performance may be required to deliver sufficient volume for engines producing 500 hp or slightly more. I suggest an electric fuel pump once horsepower exceeds that point, particularly if you’re using a Quadrajet with its very small float bowl. A block-off plate can be installed in place of the mechanical pump when using an electric unit. Holley 4-barrels are popular for high-performance use. Many of the modifications once routinely performed to improve the performance of older Holley units are now standard features on the HP and Ultra HP models. The adjustability makes them very tunable. Capable of delivering stellar performance and excellent street manners, they’re very popular with hobbyists. Holley offers complete jet kits to finely tune its carburetors for the exact application. New sets are available from mail-order suppliers and cost $100 or more. I found this kit at a swap meet for $20. It was missing only a few jets sizes, which I found at a local speed store, completing my assortment. 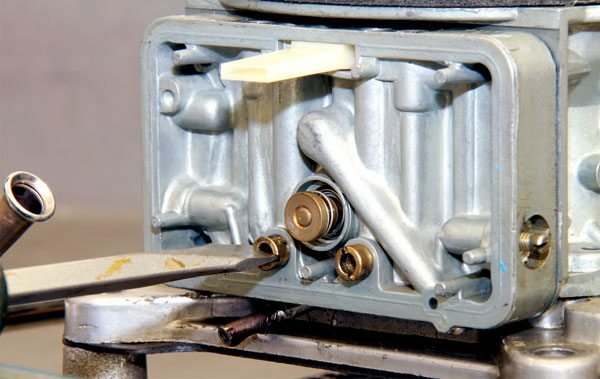 The HP and Ultra HP carburetors from Holley feature screw-in idle and high-speed air jets, which allow for emulsification tuning in various conditions. Holley sells these small jets in individual pairs or complete tuning kits. It’s an excellent way to maximize the performance of your engine when using such a carburetor. You may need to consult with a professional tuner before deviating from Holley’s base setting. The metering block of the new Ultra HP Holley carburetor is CNC machined from billet aluminum and its features removable emulsification jets. Adjusting jet size has a dramatic effect on performance and simply swapping them around creates other operating issues. I suggest consulting a Holley tuning specialist to determine the direction that best suits your Pontiac. Jet changes on a Holley carburetor are rather simple. It’s as easy as removing the four float-bowl retaining screws and setting the bowl aside, and then unscrewing the jets from the metering block. I recommend starting with Holley’s box-stock setting and adjusting accordingly once you’ve determined if your Pontiac’s fuel curve needs to be richened or leaned. 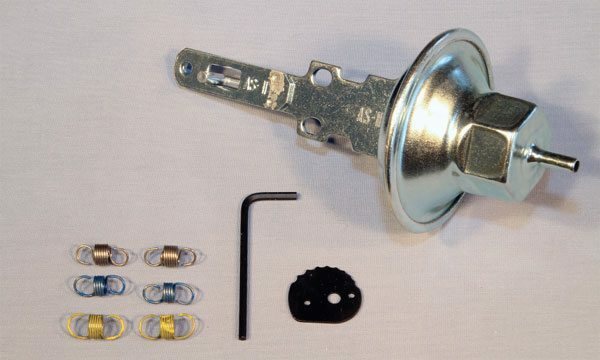 It can be difficult to find high-quality replacement components for your Quadrajet from local auto parts stores. 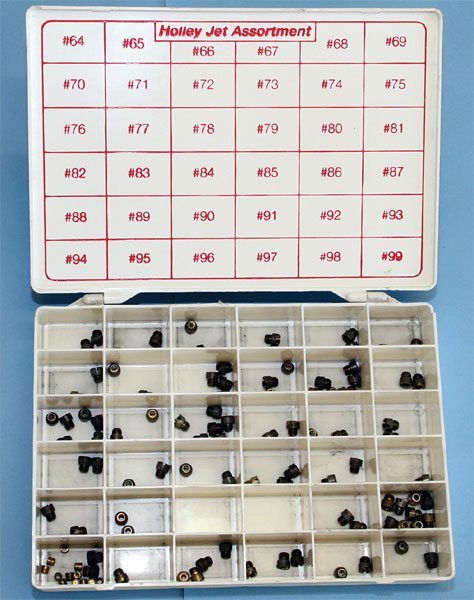 Rebuild kits are often rather generic and the rubber components are not compatible with the ethanol-blended fuels so common today. I recommend sourcing your parts from Cliff’s High Performance. 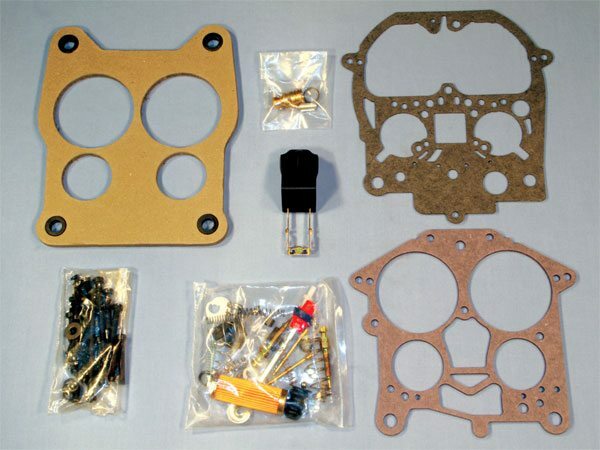 Its rebuild kits include top-quality components that are impervious to ethanol-blend fuel. Cliff’s also offers new jets and rods that allow you to finely tune your Quadrajet’s fuel curve for peak performance in all conditions. 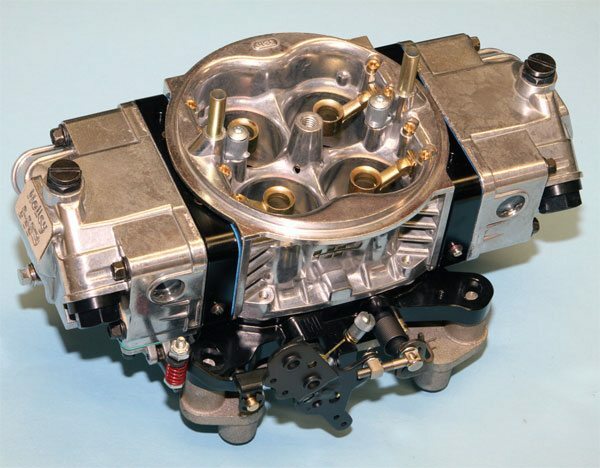 The Holley 4-barrel is the most popular aftermarket carburetor for high-performance use. A great number have been produced over the years, and finding a new unit with the appropriate airflow capacity for your particular engine is as easy as opening the catalog from a mail-order supplier. The Holley 4-barrel remains very popular because it’s easily adjustable, offers two large float bowls, and can accurately and consistently provide the engine with a constant supply of fuel to achieve peak performance. The Holley HP series carburetor includes removable air jets to fine tune idle and high-speed mixing as well as easily accessible fuel jets in the metering blocks. The Ultra HP series offers even greater adjustability. I have found it best to start with Holley’s out-of-box fuel settings and adjust accordingly. Chances are it will be a bit rich in all conditions, but it’s best to establish a baseline to determine the direction you need to go. Holley offers complete tuning kits that include several air and fuel jets, and various power valves are also available. Maximum possible torque is achieved when peak combustion pressure occurs at a crankshaft angle 10 to 12 degrees ATDC in all conditions. The distributor must be timed appropriately to provide peak performance and that includes initiating combustion some 30 to 40 degrees before the piston reaches TDC, depending upon the application. It’s not always practical to run that much spark advance in a street engine at all times, so the distributor uses a mechanical advance mechanism that allows a lower base timing for easy starting, and increases advance as engine speed climbs. While electronically controlled units (such as those available with some fuel injection kits) respond to electronic input, a typical distributor must be manually adjusted, and proper adjustment generally requires swapping parts and measuring the effects using a dial-back timing light or a professional distributor testing equipment. Bob Davis Distributors offers “recurve” kits that allow for easy and accurate adjustments of factory equipment. Some aftermarket distributors accept them too. High-quality distributors, such as those from MSD include a kit to accurately adjust the advance curve. Professional distributor tuning equipment is the easiest way to measure and adjust the advance curve within a distributor. Quite common many years ago, it can be difficult to find functional equipment today. Some machine shops still offer this service, but serious racers generally know a private individual who owns one, so ask around. 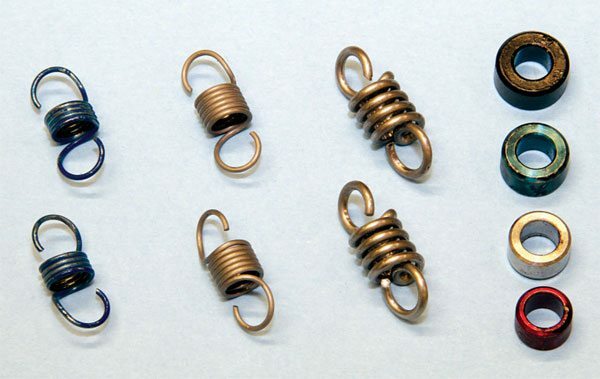 MSD distributors include an adjustable advance mechanism that uses high-quality springs and limiting bushings to control how much advance is available and the rate at which it comes in. It’s an excellent design that allows for easy and accurate adjustments. MSD also offers its tuning kit separately should you need replacements. The Adjustable Vacuum Advance kit from Crane includes a variety of advance-curve springs as well as a serrated limited plate and vacuum adjustment tool. It’s an excellent piece that’s ideal for tailoring vacuum advance to provide peak engine efficiency at idle and part throttle. I recommend it above all others. For a naturally aspirated Pontiac V-8, I recommend a base (or initial) timing anywhere between 10 and 15 degrees. A mechanical advance curve that provides 20 to 24 degrees of additional advance can provide the optimal amount of total spark lead required for peak performance. Some trial and error will be required to find the exact amount your Pontiac runs best with. If at any time during your carburetor and distributor tuning process you hear detonation at full throttle, let off immediately or significant engine damage can result. You may need to retard spark timing or richen the fuel mixture, or possibly a combination of the two. 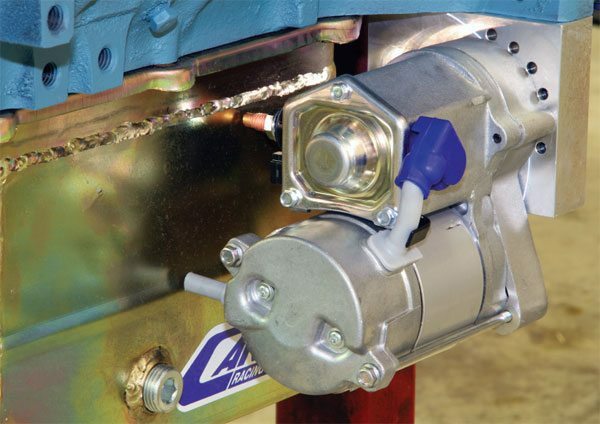 All distributor tuning should be performed without the vacuum advance canister connected, if so equipped, since it has no bearing on full-throttle performance. 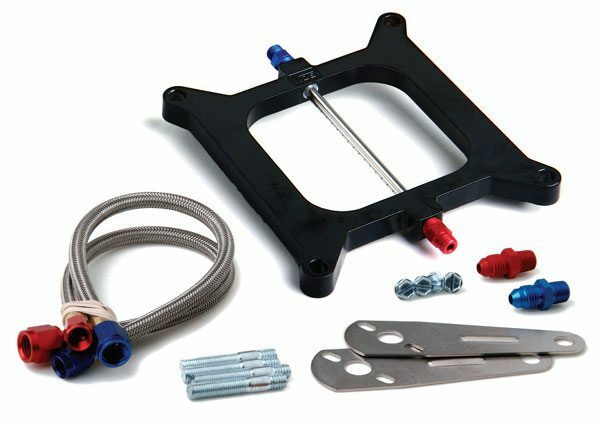 Once the appropriate amount of base and total spark lead for peak output is determined, connecting the advance canister to a manifold vacuum source provides additional spark advance at idle and low-speed conditions. Crane offers an excellent vacuum advance kit that includes a fully adjustable canister. I recommend it if you plan to use vacuum advance with your combination. I suggest starting with a setting that provides about 12 degrees of vacuum advance at vacuum setting that’s higher than what your engine produces at idle speed. Connecting the canister to a manifold vacuum source provides vacuum advance in all conditions where sufficient vacuum is present. That includes idle, light acceleration, and deceleration. If you detect surging under part-throttle load, reduce the amount of vacuum advance in 2-degree increments until it subsides. If you detect surging while decelerating, simply connect the vacuum can to a ported vacuum source. 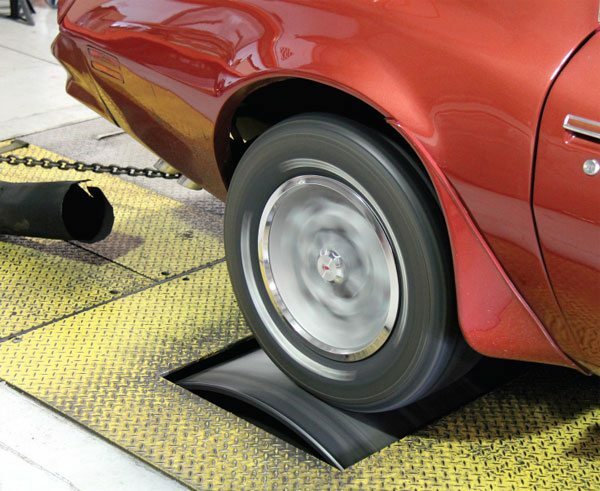 A dynamometer measures engine output under full-throttle conditions. There are two dyno types: engine and chassis. Each can provide you with valuable information about your engine’s state of tune, and the effects that fuel and spark adjustments have on it. I strongly recommend having your engine dyno tuned, as it provides the greatest possible performance from your particular combination. An engine dyno measures power output through a water brake connected to the crankshaft. Numbers recorded using an engine dyno are referred to as “at the crank.” A chassis dyno measures engine output of a running vehicle by positioning the drive wheels on a large roller drum and measuring how quickly the engine accelerates against the resistance of the roller drum. Chassis dyno results are commonly referred to as “at the tire,” and the horsepower and torque values are often much lower because of driveline loss. A mathematical conversion can be used to approximate numbers at the crankshaft. 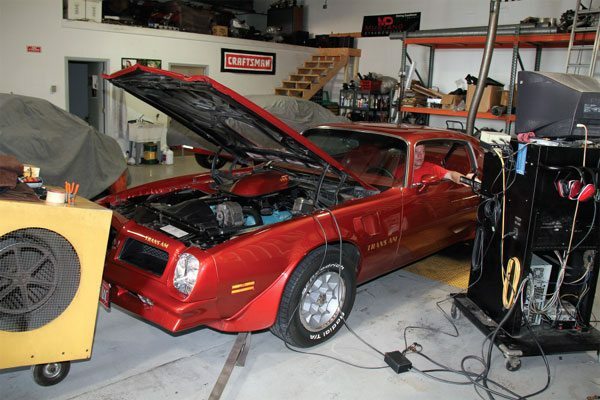 Dyno tuning is an easy and accurate way to ensure that your Pontiac is running its best. An engine dyno uses a water brake to measure engine output. Timing and carburetor adjustments are easily performed and the performance effects can quickly be measured. 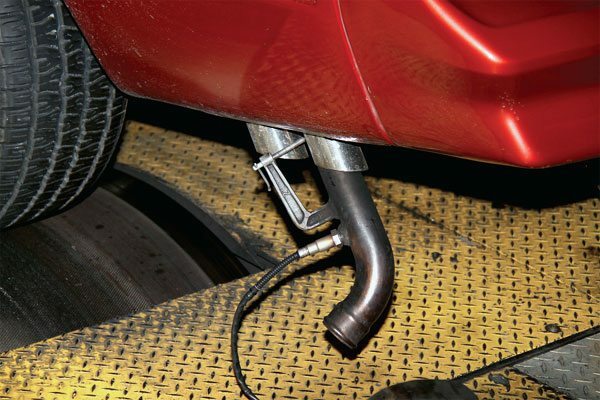 A slight amount of tune adjustment may be required to compensate for vehicle weight once the engine is installed. Nothing replaces actually dyno testing your engine, but quality computer simulators like that from Performance Trends predict engine output with reasonable accuracy. I found it to be an excellent tool when attempting to understand the effects certain components have on performance. 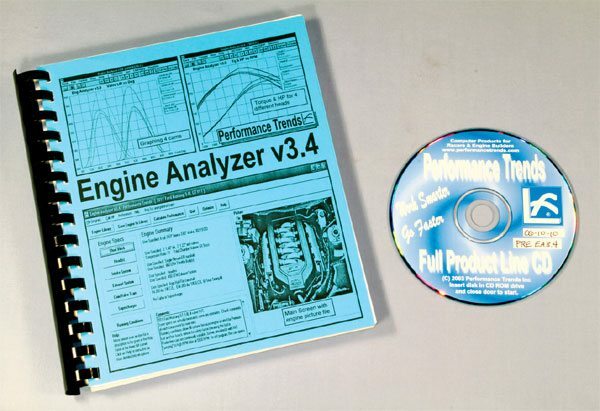 I regularly use the Engine Analyzer v3.4 program when planning complete builds or modifications to existing ones. A wideband air/fuel (A/F) meter is an excellent way to accurate determine the air/fuel ratio of your particular engine and measure and record the effects of your tuning efforts. An A/F ratio near 12.7:1 generally produces peak full-throttle performance while a ratio of 14.7:1 or greater is ideal for idle and part throttle. Innovate Motorsports makes an excellent A/F meter that’s ideal for home hobbyist use. A chassis dyno measures engine output through the driveline. It requires that the engine be installed and in good running condition. Because of driveline loss, the results generated using a chassis dyno are generally lower than those recorded on an engine dyno. A mathematical equation provides approximate crankshaft horsepower and torque figures from those measured on a chassis dyno. The roller drum of some chassis dyno models contains a fixed weight while others use an eddy-brake that adds rolling resistance to replicate the load the engine sees accelerating the vehicle down the road or race track. That is very beneficial in achieving maximum performance from your engine. Various sensors are typically connected to the engine during a dyno tuning session. The most important of which is a wideband air/fuel sensor that records the air/fuel (A/F) ratio the engine is emitting from its exhaust. A ratio of 14.7:1 is stoichiometric (or perfect) but it rarely yields greatest full-throttle performance in a naturally aspirated Pontiac. An average A/F ratio that’s slightly richer and usually closer to 12.7:1 tends to produce greatest power output. There are a great number of variables that can affect it and the dyno results reveal the best exact A/F ratio for your Pontiac. Volumetric efficiency (VE) is a measure of how effectively an engine can ingest and expel air at full throttle during one complete cycle. It is generally stated as a ratio or percentage that’s calculated by dividing actual airflow rate during normal operation by the engine’s maximum amount of static volume. VE is used to determine how efficiently an engine operates at a given RPM. While it can be mathematically calculated using a combination of known values and estimations and a rather complicated formula, the easiest way to accurately determine the VE of a particular engine is likely with an engine dyno. High-end dynos use a mass airflow meter to accurately calculate VE at every point throughout the entire pull by comparing the measured voluminous amount of ingested airflow to actual displacement. Peaking at about the same point as torque output, a relatively low VE can indicate a significant rotating friction or a restriction within the intake or exhaust tract, preventing an engine from reaching its full pumping potential. Components aimed at reducing frictional loss include short-skirt pistons with low-tension piston rings, a low-mass roller valvetrain, and a lightweight rotating assembly or improving intake or exhaust airflow of a particular engine. These usually improve VE, and that can result in greater total power output, but particularly at high engine speed. A larger engine has a greater swept volume, and it can displace a greater amount of air with each stroke, so at low speed, its VE is generally greater than that of a smaller engine at a particular RPM. A smaller engine can achieve as much or more VE, but since it doesn’t displace as much volume with each stroke, it must operate at higher engine RPM to achieve the same amount of voluminous flow. That speed is sometimes impractical for the heavier reciprocating mass associated with large-cube engines. A VE greater than 90 percent from a naturally aspirated Pontiac V-8 is considered excellent and tuning for a VE as close to 100 percent as possible usually yields the greatest performance. A VE of more than 100 percent can occur in certain ranges with a properly designed camshaft and/or exhaust system that scavenges the cylinders, drawing in the intake charge during the valve overlap period. Since induction is forced into the cylinders of a turbocharged or supercharged engine, it’s not uncommon to find VE greater than 100 percent at times. Your dyno operator can likely provide your engine’s VE, and you can discuss it with your engine builder to determine if it’s a suitable amount for your combination. An engine can generate a significant amount of internal windage as the crankshaft rotates and the connecting rods churn about. A positive crankcase ventilation (PCV) system is a factory-designed concept that keeps oil mist and gas fumes from exiting the crankcase, but its effectiveness in reducing internal pressure is limited. A vacuum pump can relieve an engine of any internal pressure, allowing for quicker engine acceleration, the use of low tension oil rings to reduce friction, and the reduction of oil leaks. A vacuum pump is used to create negative pressure within the crankcase, reducing pumping loss and oil leaks while improving cylinder seal, all of which improve performance. 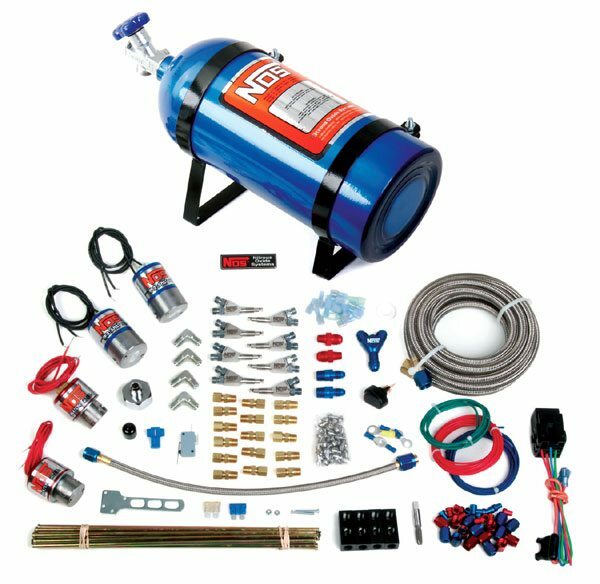 Moroso offers an excellent vacuum pump kit that’s the choice of many professional Pontiac engine builders. While Moroso doesn’t offer the appropriate mounting brackets and drive equipment to allow easy installation onto your Pontiac V-8, your favorite Pontiac builder likely does. The vacuum pump is mounted onto the engine using an adjustable bracket; it’s driven by a belt connected to the crankshaft. The amount of vacuum the pump generates increases along with engine speed, and it draws though oil-resistant hoses affixed to specially modified valve covers; the route is to a large filter where the oil and air are separated. By creating a slight depression within the crankcase, the pistons are no longer working against internal pressure when traveling downward in the bore. It also allows the piston rings to better seal against the walls, and that can reduce the amount of frictional loss associated with high tension and/or thicker ring packs. If there’s available space in your Pontiac’s engine compartment, there are no negatives associated with the addition of a vacuum pump. It’s not uncommon to find horsepower increases of 10 to 30 depending upon the application. Moroso makes an excellent assembly and many professional Pontiac engine builders offer specific brackets, crankshaft mandrels, and pulleys for easy installation onto a Pontiac V-8. Expect to spend $800 or more for a complete kit, and if you plan to use a lip-type rear main seal, you might consider installing it backward, which improves its sealing ability when under vacuum. Using nitrous oxide to improve engine performance has been a popular modification for many decades. It involves injecting high-pressure oxygen molecules into the engine, where it can enter the cylinders providing a denser charge when the nitrogen and oxygen molecules separate when exposed to extreme heat. By providing an additional amount of fuel that’s proportionate with the oxygen content increase, the result is a much more intense combustion event, which can improve engine performance. The nitrogen molecules are inert and sent out the tailpipe with the rest of the exhaust. Many companies produce nitrous oxide kits designed for automotive use. They all include a large bottle located in the rear of the car and the appropriate plumbing and switches that control delivery into the engine. While significant performance gains are possible, the use of nitrous oxide increases the amount of cylinder pressure and heat within the engine, and that can be tough on certain engine components. 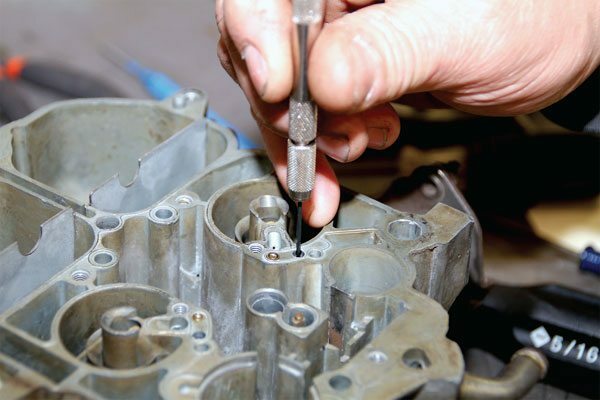 When using enough to increase horsepower by 100 or more, it’s advisable to use forged connecting rods and pistons, and to gap the piston rings accordingly. If you plan to use nitrous oxide with your Pontiac, I highly advise discussing your goals with a professional Pontiac engine builder who specializes in nitrous oxide applications, such as Butler Performance or Ken’s Speed & Machine Shop. The quality of the flywheel or flex plate should be serious concerns in any build that takes performance beyond the stock level. Either unit bolts to the flange at the rear of the crankshaft and connects the engine to the transmission. Original units are around 40 years old, and have endured countless miles of use and heating/cooling cycles. You should strongly consider high-quality aftermarket units with SFI-certification for any high-performance build, as well as the use of high-quality fasteners such as those from ARP. 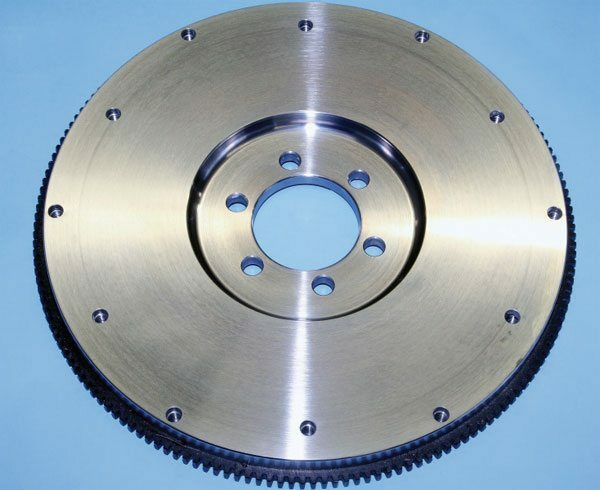 A flywheel provides a mating surface for the clutch disc and pressure plate assembly of a manual transmission. Originals were constructed of cast iron and minor stress cracks on the clutch surface from years of use are common. While those cracks are generally machined away during resurfacing, they can compromise the integrity of the flywheel. It can literally explode when heavily loaded, significantly damaging the engine and transmission, or even you! I consider a billet-steel flywheel a must for any performance engine backed by a manual transmission. Under no circumstances should a cast-iron original be used. It’s simply too risky. Centerforce presently produces the best Pontiac flywheel available on the aftermarket. It’s SFI certified and fits and functions just like an original. 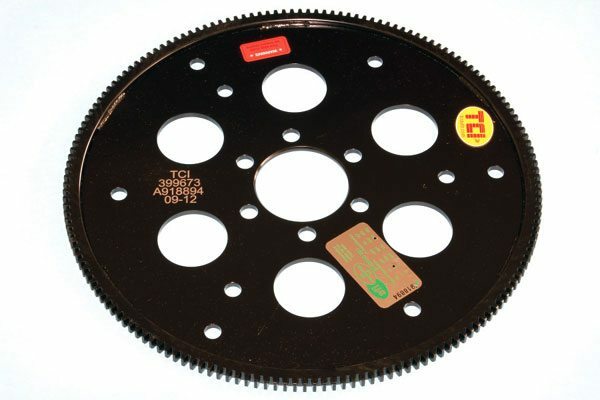 A flexplate connects the torque converter of an automatic transmission to the flywheel. Constructed of a sheet metal, the holes cut into it allow it to flex slightly, taking up torque converter movement at higher engine speeds. Originals were adequately made for stock applications, but the aftermarket unit from the TCI unit is much beefier. It’s an excellent choice that’s SFI certified and fits quite well. I highly recommend a billet-steel crankshaft for any Pontiac V-8 backed by a manual transmission. Centerforce offers a very high quality flywheel that weighs 30 pounds, or about 10 less than a typical cast-iron original. It’s available with a crankshaft bore measuring 2.5 inches or 2.75, for whichever crankshaft you have. It’s an excellent piece that fi ts and functions like a stocker. It sells for about $350 and is compatible with 10.4- and 11-inch clutch disc and pressure plate assemblies. If you need a high-quality clutch kit, Centerforce offers several. I use its Dual Friction for my own Pontiac and gripping power is excellent and pedal effort is amazingly low. Like a flywheel, a flexplate bolts to the flywheel flange and it connects the torque converter of an automatic transmission to the engine. While rather rigid, it gets its name because it’s constantly flexing to allow for torque converter movement at higher engine speeds. Over time that flexing can cause stress cracks that can ultimately end in failure, which, like a flywheel, can damage you and/ or your vehicle. TCI offers a heavy duty flexplate for the Pontiac V-8 that’s much thicker than stock and is SFI certified. Selling for $250, it’s an excellent choice for any application where an automatic transmission is used. An engine’s water pump circulates coolant throughout the engine. 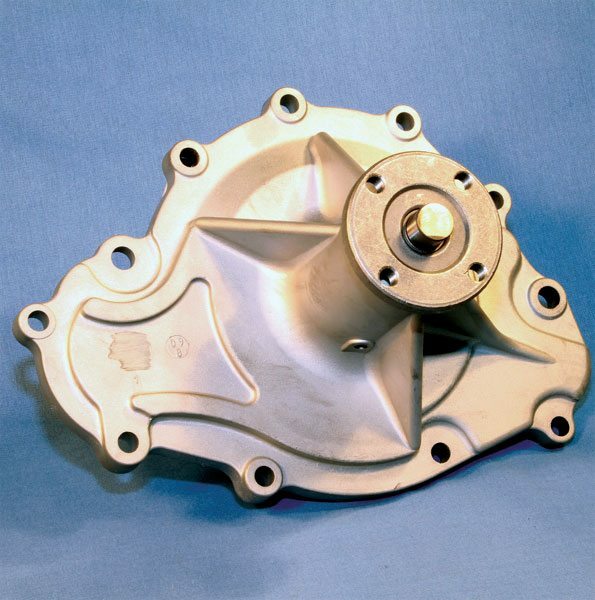 The original design worked suitably, but finding OE-replacement water pumps with the same quality and volume capacity as an original can be difficult. Flowkooler produces a high-quality replacement that features an aluminum housing but castiron impeller. It’s an excellent choice for any high-performance build and is one I use on my own Pontiacs. Flow Kooler water pumps are popular beltdriven units that install easily and function very well. It features a cast-aluminum housing and cast-iron impeller for a lightweight unit that operates efficiently and reliably. It’s my first choice when selecting a stock-type water pump for my own builds. 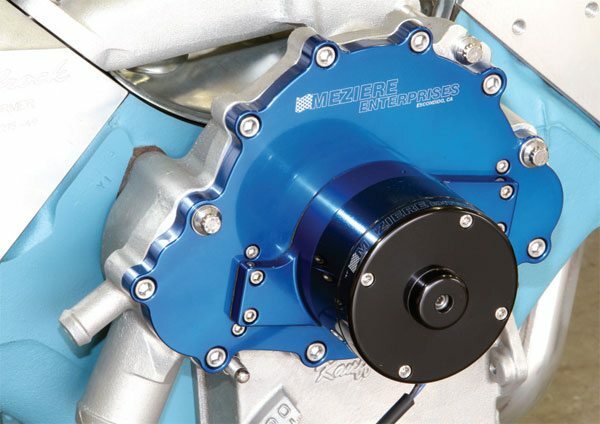 Meziere produces two high-quality electric water pumps for Pontiac V-8s in a variety of colors. Its 35-gph unit is recommended for naturally aspirated applications producing up to 650 hp, and its 42-gph unit is recommended for applications that exceed that. Contact Meziere for its recommendation if you’re running forced induction or heavy doses of nitrous oxide. Circulating that coolant throughout the engine consumes a slight amount of engine power. Meziere offers a very high quality electric water pump that fits like an original, but is capable of moving 35 or 42 gpm, depending upon which you select. Powered by a 12-volt source, it doesn’t consume any engine power in the process. 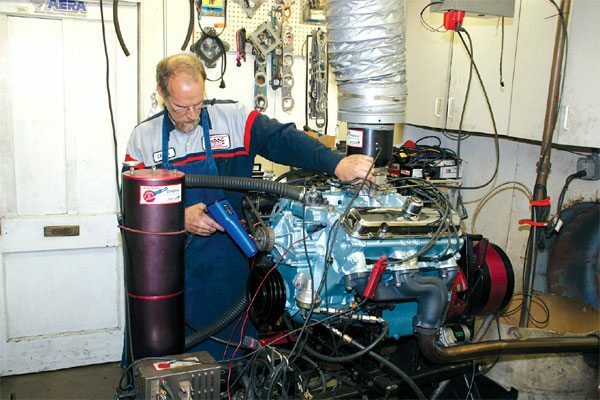 With a rated life of 2,500 hours of operation, it can add benefit to any high-performance Pontiac V-8, but particularly those where extracting every last horsepower is important, or in instances where circulating coolant between rounds without the engine running can improve performance. Pricing starts at $400. 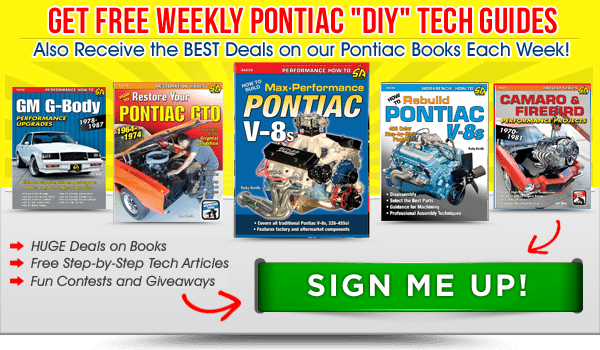 A stock Pontiac starter is designed to turn over a production-type Pontiac V-8 that operates on pump gas and uses original equipment. Significantly increasing the compression ratio, such as that required for competition engines, raises the amount of cylinder pressure the starter must work against when attempting to fire the engine. Combine that with a base timing setting that’s relatively high and the engine will likely kick back against the starter, refusing to start. A similar situation occurs when the heat radiated by tubular headers causes the internal windings of the steel-cased starter to expand, which can causes the start to drag or simply “click” in protest. 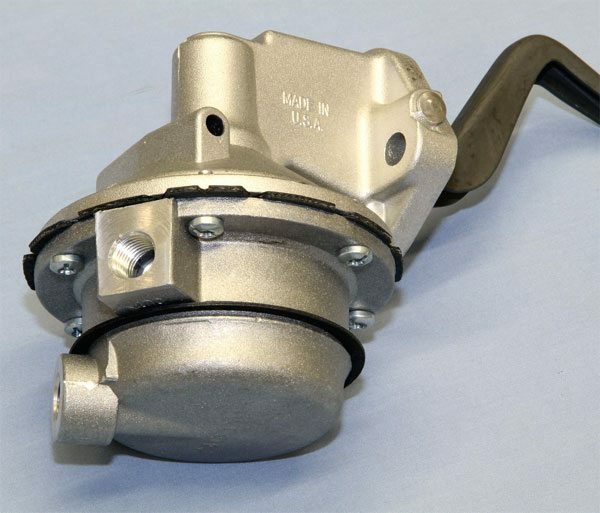 When dealing with a highperformance engine, it’s best to forego using any original Pontiac starter and opt for one of the many high-quality gearreduction starters on the market today. It typically uses a high-speed motor to transmit power via to an offset gear to turn the engine over. The result is a compact unit that’s more efficient, weighs less, and cranks the engine at a higher speed with more torque than a stock starter. IMI offers an excellent mini starter for the Pontiac V-8 that has high-torque, gear-reduction starting power and aluminum construction for quick heat dissipation. It produces specific units for stock-type applications and others with increased cranking power for engines with very high compression ratios. 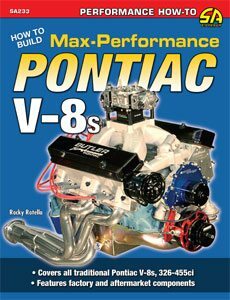 I highly recommend such a starter for your Pontiac build. IMI Performance Products produces one of the best gear-reduction starters on the market today. It features a high-speed electric motor and a solenoid encased in aluminum to dissipate heat quicker than the stock unit, and it includes a vent tube to increase overall airflow through the unit. IMI offers several starters, and the difference is in cranking output. Pricing starts at about $250. It’s an excellent product that installs easily and performs reliably in all types of applications and operating conditions.